As July creeps up on us, so does the usual panoply of end of term shows and concerts in the schools and colleges that form a large part of our customer base. We're finding that as more schools opt for rebuilds of their estate or as new extensions to existing facilities, the hoary old matter of using ladders arises - very often as part of a desperate phone call for help from a teacher or technician that needs to move a light or change a lamp. 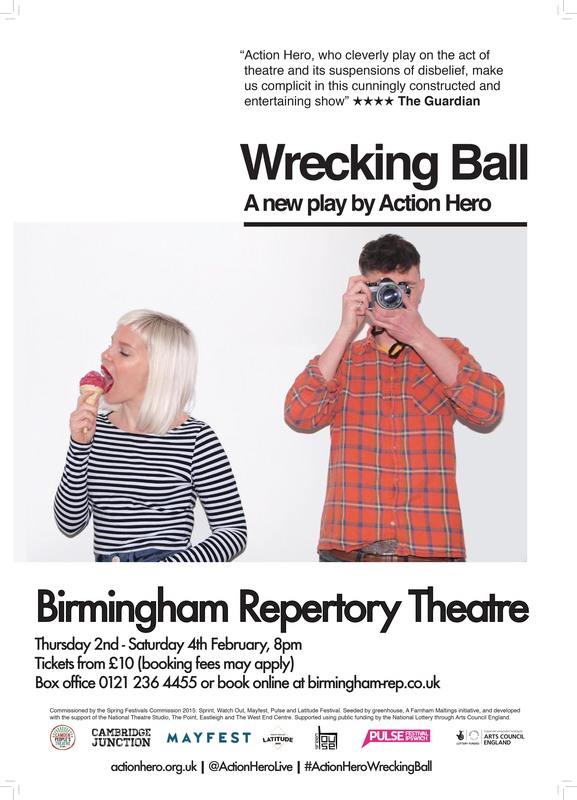 More often than not we hear the words "Health & Safety regulations say we're not allowed to use ladders..." and occasionally the person saying the words is competent to use a ladder because they do so away from work with an amateur theatre group. Are ladders actually banned then - are schools consigned to a lighting rig that whilst impressive goes slowly dark as lamps fail or until they can afford to hire a company like ours to change lamps? 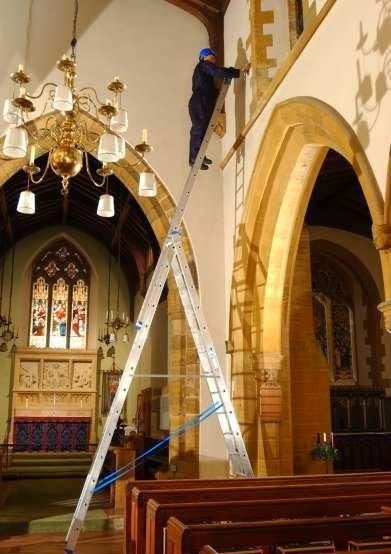 Well, the answer put simply is no - the Health & Safety Executive (who govern all that pertains to safety matters in the workplace in the UK) have not banned the use of ladders, in fact in some environments they encourage them. What they have done is revised their guidance on the use of ladders so that there is a set of constant guidelines that hopefully serves to reduce the number of fall deaths in the UK each year. Judith Hackitt, Chair of the Health and Safety Executive, said “It’s important to get 'working at height' right. Falls remain one of the biggest causes of serious workplace injury – with more than 40 people killed and 4,000 suffering major injuries every year.” According to Department of Work and Pensions estimates, every year ten million workers carry out jobs involving some form of work at height at more than a million British businesses. There is a need for vigilance therefore and so the HSE always tried to get across the following points. When the use of other work equipment is not justified because of the low risk and short duration, i.e. working on a ladder for no more than 30 minutes at a time. So using a ladder for getting to stage lights to focus, gel them and change lamps plus rigging is within the guidelines. When there are existing workplace or site features which cannot be altered. Which must be of the right type, such as an industrial ladder. In good condition and effectively secured to prevent movement. It should also be ensured that they extend at least one metre above the landing point to allow for a secure handhold when stepping off. The HSE does NOT require formal qualifications before a worker can use a ladder at work. A level of competency is simply required, which means having the necessary skills, knowledge and experience to use a ladder properly for the work to be carried out. Alternatively, training can be provided by personnel who can perform the task competently themselves. Finally, one of the more well known and often mistakenly quoted facts concerns the requirement for a worker to have two feet and one hand on a stepladder at all times when carrying out a task. The requirement is actually to maintain “three points of contact at the working position” not a mandatory two feet and one hand. Thus, when both hands are needed to be free for a brief period to carry out a task using a stepladder, alternative points of contact may be used, such as two feet and the body (knees or chest to help with stability) supported by the stepladder. If you want to research the matter on HSE's own website then click here. Now, it may well be that the school/colleges own Health & Safety manager will need satisfying that you can use a ladder safely and ideally that a colleague can as well - so that when you do use the ladder, you're not alone. Otherwise, there's no regulatory obstacle to people working up a ladder in a school/college - the only practical obstacle is doing it in such a way and time when students can't fool around with the ladders but devising a way around this using the timetable or simply by locking the doors to the room perhaps? As with any task, it's essential you use the right "tools" to complete it - if you improvise then the risks multiply exponentially. The "fallback" response for a lot of schools/colleges is to buy a scaffold tower, which whilst it's a sound idea is flawed in that environment. Scaffold towers generally need assembling each time they're used from a kit of parts and it's essential that the correct parts are used in the correct way and that all of the parts are used. Once the tower is erected, there's a correct way to climb it, use it and move it - so fraught are towers with dangers that there is a qualification used by the construction industry to ensure that folk erecting the tower do it properly. 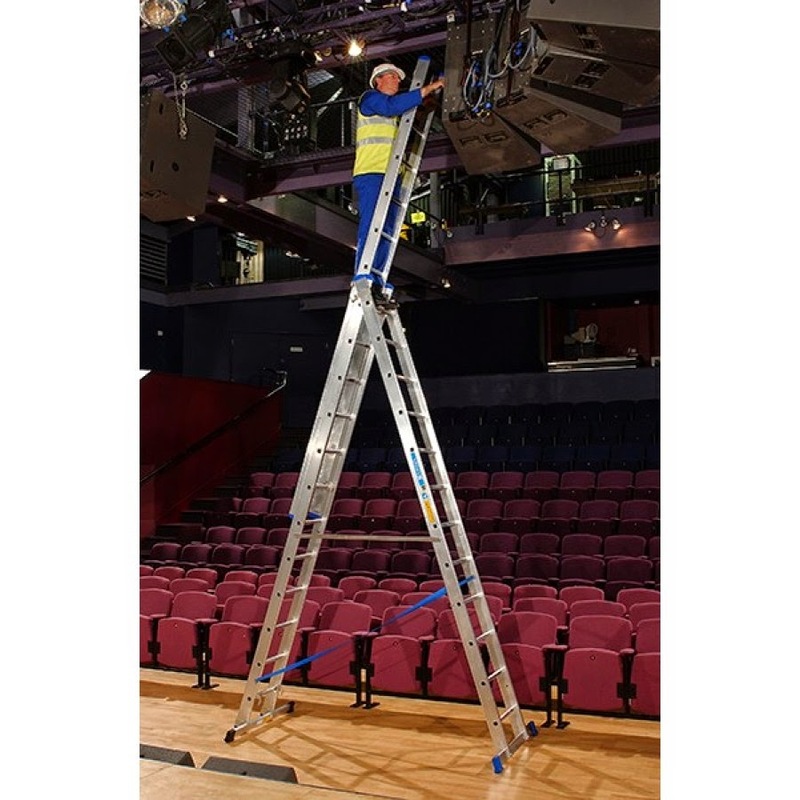 Our response generally to a school looking to access a lighting rig is "Buy a Zarges ladder..." mostly because we know and trust them as a brand, the ladders are built like the proverbial 'brick privvy' and the major plus - they can only be erected the correct way with nothing left behind. As you can see from the picture, you can work safely at height with three points of contact and if you need to work higher, then the 3rd part can be extended to let you reach further. If you'd like a demo of one in your school or college then give our sales desk a call, if you're convinced and want to order one then they're in our online shop - click here.